Using good quality thumbnail images is a good way to improve the visibility and traffic to your website, since visual search engines use these smaller-sized images to give searchers an idea about your content. Due to their limited size, thumbnails take less time to load and can save significant time while browsing. A list of relevant thumbnails functions as an index for a particular type of content when doing a search, so optimizing thumbnails will give your website a better chance to attract users. 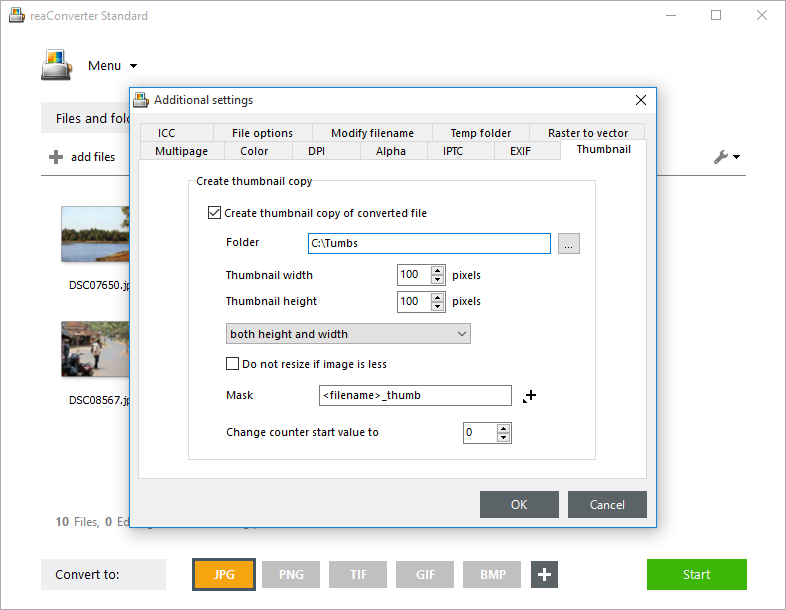 Creating quality thumbnail versions of your desired images takes no more than a few seconds with reaConverter's latest edition. Load one or more images you intend to process. You can add them manually, add entire folders or use the handy drag-and-drop tool. Here you can find the Thumbnail tab, which will allow you to create a reduced-size version of the processed images. In this window you can customize the location of the thumbnail, its size, and a pattern for its filename. 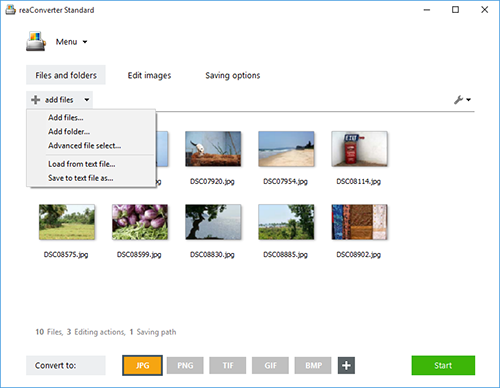 Some of the available options include using the name of the original file as part of the thumbnail's name, information about the date and time, or EXIF data. After you're done with these options, click the OK button and proceed with the conversion process. 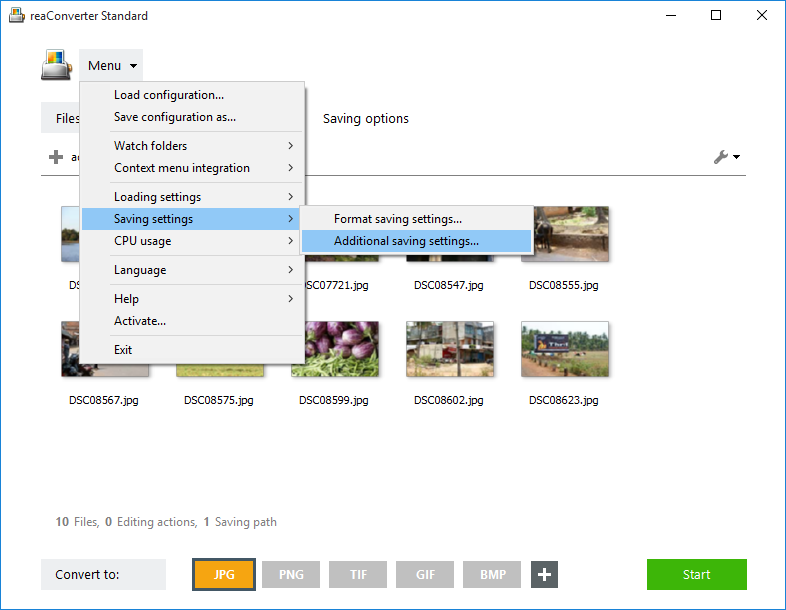 Go straight to the Saving options tab and pick a location for the converted images. Last but not least, decide on the extension of the output images by simply clicking one of the buttons conveniently placed in the lower part of the screen. In case you don't see the desired image format there, click the Plus button and more options will appear. Finally, click the Start button and soon enjoy both your converted images and their thumbnail versions.